James Earl “TNT” Potter Sr. was the eldest of nine children born to the late Mary Etta Matthews Potter and the late Monroe Lee Potter. He grew up in Dothan, Alabama. He was raised in the church and attended New Bethel Missionary Baptist Church. He graduated from Carver High School. Enterprising, creative, and intelligent, he loved family and all that came with it. He learned with and from his family: He and his father operated Potter and Son Shoe Shine. Later he branched out on his own as a master shoe shine man and was in residence at Williams Shoe Shop and Hairport Salon. He and his mother were in business for themselves long before the term “entrepreneur” was popularized. He also ran a cleaning service back in the day. He shared a mutual love for soul and gospel music with his seven sisters. He would belt out popular songs of the day in a smooth baritone or a soaring falsetto with equal power and clarity (And who can forget him crying every time he sang his rendition of “For Your Precious Love”?). He met and married the love of his life, Blondell Ingram. Together they raised a family of three children. He loved Bubba, Tee, and Mot; they were his pride and joy. He taught them a deep appreciation of family and friends. Theirs was a home of love wrapped in music. A proverbial jukebox, they seemed to own every 8-track, 45, album, cassette, and CD; both new and old! He never met a stranger and he never tired of supporting others. He loved God’s people and he found ways to connect with them like the ones who “got ears like Daddy” and long lost school mates and friends. He and “Blondie Red” would welcome you into their home for food, something to drink, and a quick––or long––game of spades or dominoes. It didn’t matter if they hadn’t seen you since last week or last year, he delighted in catching up about you, your family, and what was important in your life. And it didn’t matter where he lived. Whether he was in “The Hole” at the end of Short Atlanta Street, on Montana Street, on West Franklin Street, or on North Bell Street, he was a true friend who kept it real. A diehard Auburn fan, he enjoyed fishing and cooking. He was known all around for his barbecue. In fact, he could take anything, throw it on the grill, and make it taste like a slice of Heaven. Ribs and chicken smothered in his signature barbecue sauce were classics of many family summer cookouts. He could take frog legs and rabbit––or even snake––and transform them into your new favorite delicacy. That was one of his many gifts. God called him home on March 20, 2019, which was the first full moon of spring. The first full moon of spring marked the upcoming celebration of Easter and the resurrection of Jesus the Christ throughout history. March 20 was the 79th day of the year; he was 79. And what is more, March 20, 2019, was the first time in 19 years that the first full moon of spring––a supermoon––happened on the same day as the equinox. God wouldn’t have it any other way to welcome his son home! His legacy will be sustained by his son, Marshall Fitzgerald (Ruby Nell) Potter; his grandchildren, Fredrick Jackson, Matesha Potter, Quintina Vickers, and Jermaine (Jessica) Potter; and his great grandchildren, Gabrielle Jackson, Lyric Jackson, Erin Brenae Potter, and Jacob Tremaine Potter. His memory will be cherished by his special, beloved friend, Dean Partridge; his sisters, Doris Jacqueline Potter (the late Rupert) Hickman, Lois Potter Barber, Dorothea Potter (James) Melton, Yvonne Potter Lee, Janice Potter Burks, Nettie Potter (Elige) Scott, Vanessa Potter (Daryl) Wynne, Brenda Okonkwo, and Sharon Walker; his brother Daryl Walker; his sisters-in-law, Ruby Ingram Jackson and Mary Jean Ingram (Donald) Mizell; and his brothers-in-law, especially Earlie D. Barber. Others who count it a blessing to have known him are his many nephews and nieces; his godsons, Willie Earl Miller, Josh Brantley, and Herschel “Cherokee” Stanley; members of the Potter, Ingram, Jackson, Hickman, Barber, Melton, Lee, Burks, Scott, Wynne, and Walker extended families; and a host of friends and loved ones. 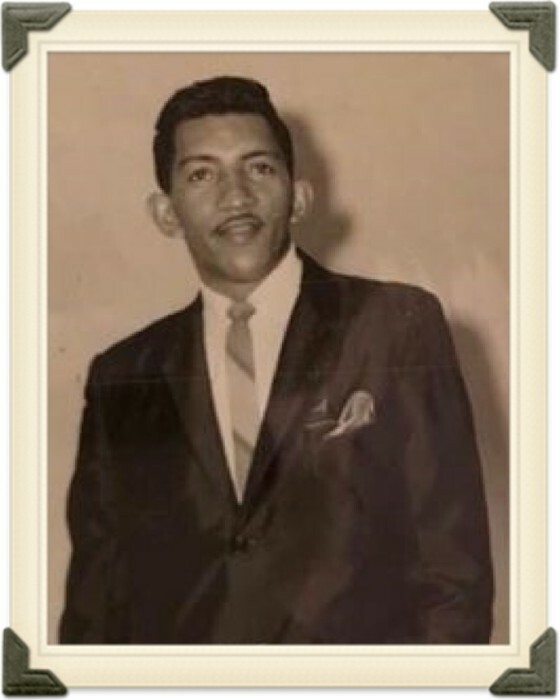 He was preceded in death by his parents, Monroe Lee Potter and Mary Etta Matthews Potter; his wife, Blondell Ingram Potter; his son, James Earl Potter Jr.; and his daughter, Pitnita Potter.